It's a technique I use a lot and it is fairly simple to do, today I take a quick look at how to make a snow base for your mini. Put on your Parka and let's get going. 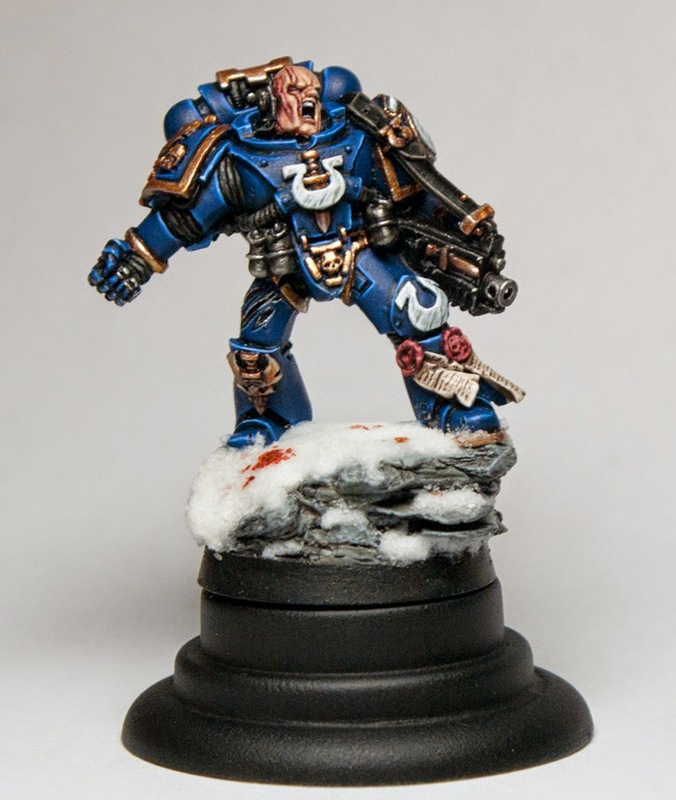 Snow bases, to me, provide a clean, bright framing for your model. 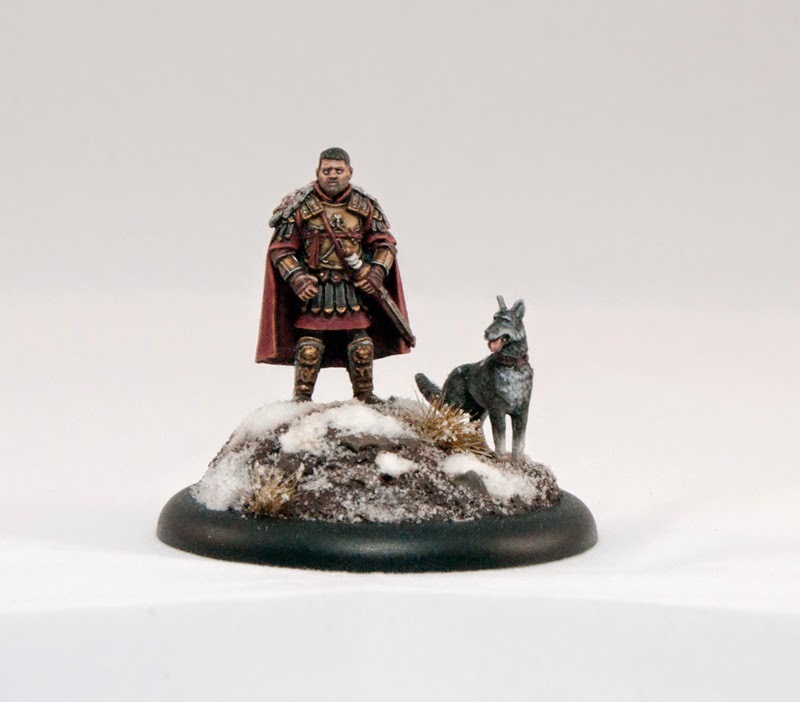 Of course it's not appropriate for every mini since it doesn't snow everywhere, but if you do want to add a winter theme to your models it's fairly easy. 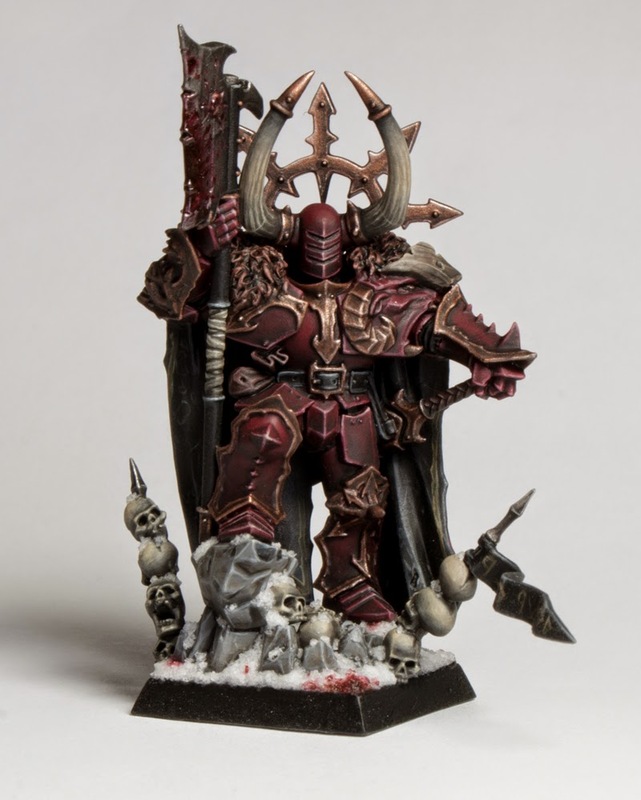 To start with you want to have the entirety of your model finished, this includes everything else on the base. Generally you want to have your base darker then normal so it contrasts well with the snow. Now you need to gather your supplies. This consists of some PVA glue, snow flock (mine's from Woodland Scenics) and some white paint. 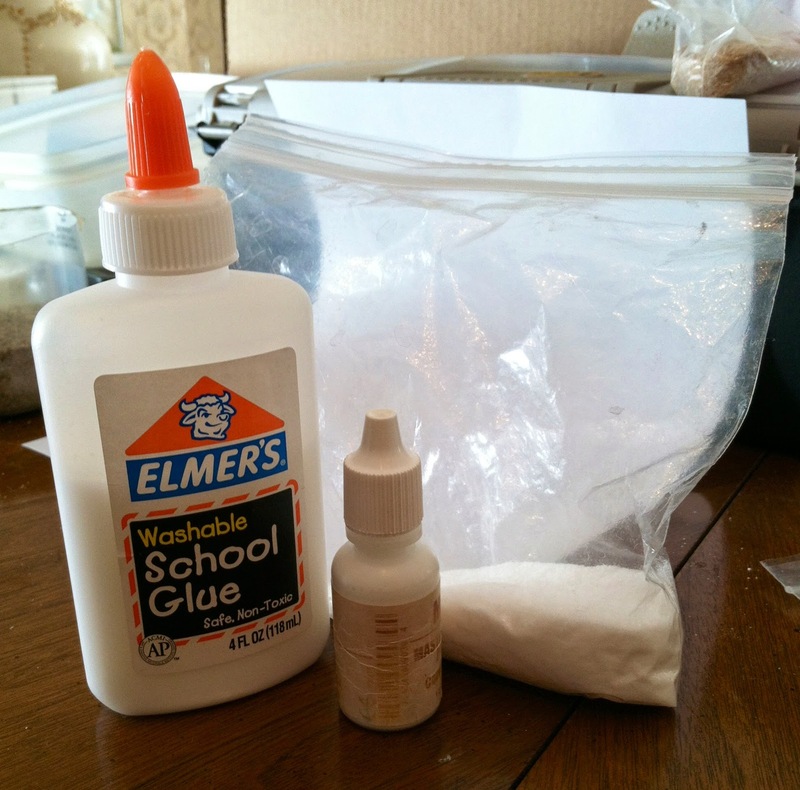 Mix the PVA glue and snow flock with just a drop of white paint. You should end up with a goopy substance similar to this. The paint is just to give it a little color since otherwise it can dry kind of translucent. 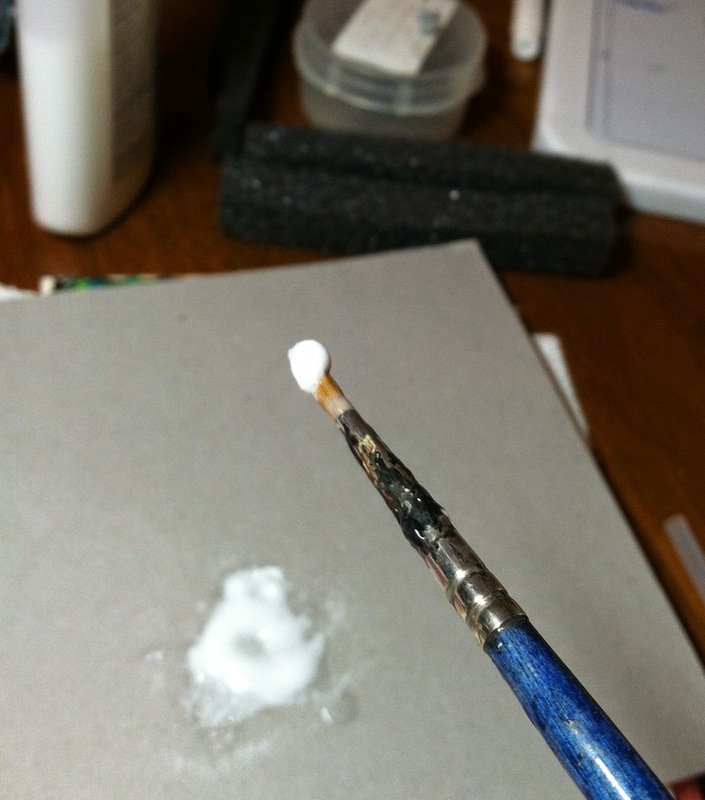 You want to scoop it onto your brush like this so we can create snow drifts on the base. I would use an older brush you don't care about too much. For this model I went for a patchy look, trying to be random with my shapes and sizes. While the snow/glue clumps are still wet I sprinkled it with a thin layer of pure snow flock to make it look a little airier. Lastly I covered all of the snow with a very, very thin coat of extremely watered down PVA glue. This seals it all in and makes sure it won't flake off mid-game. There are several different effects you can go with here. 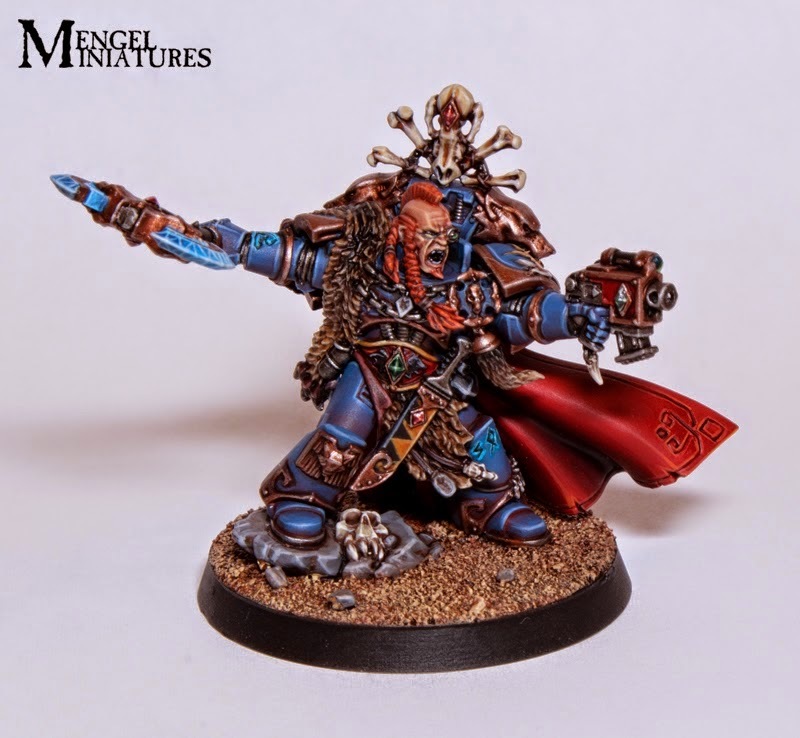 You have the patchy look like I did in this tutorial, you also have the more snow covered look like with the Ultramarine at the top. You can also do cool effects on the snow like the blood splatter seen above. When placing your snow try and think about where it would naturally collect. If you're not sure just look up some real world reference pictures online. My Maximus model has patches of snow along with a general dusting of snow on the ground to make it look like it's still snowing. 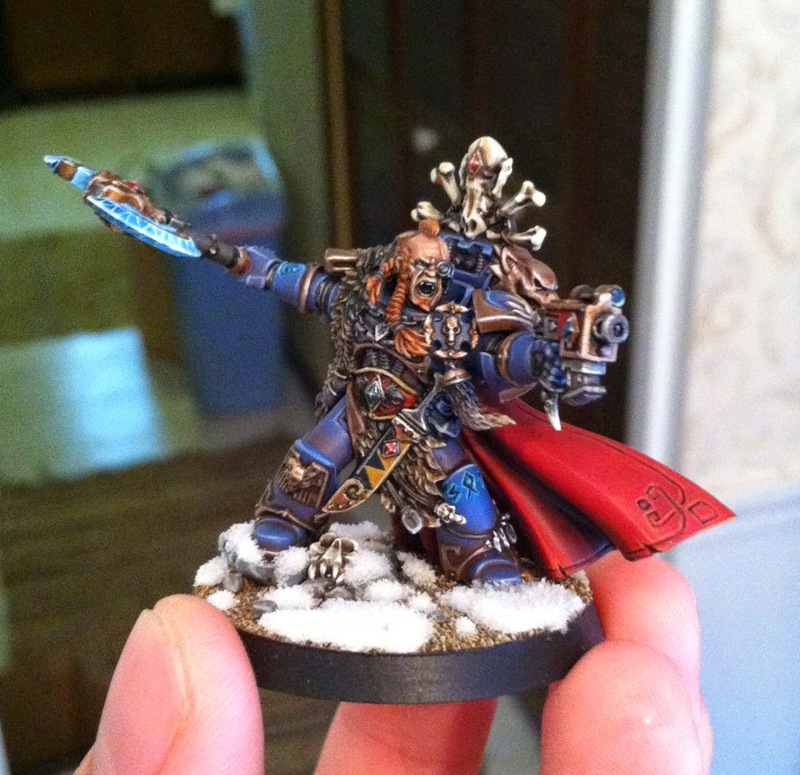 I did this using the method above and then sprinkled the base with a slight layer of snow flock. This was then sealed in with Matte Varnish. 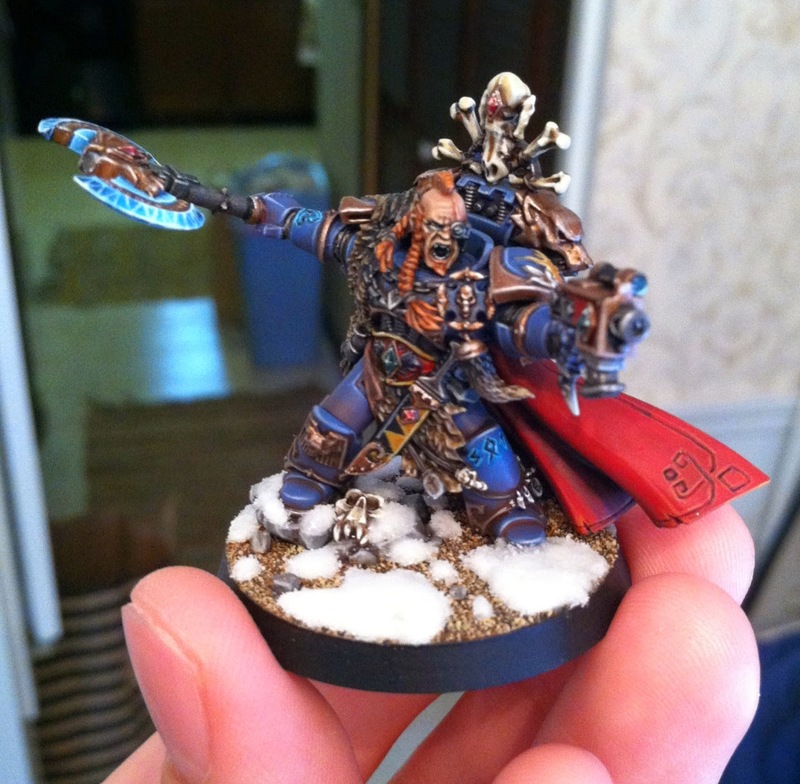 This technique may not work as well for gaming figures since the snow isn't on there as securely as it is with glue. I hope this has helped anyone who was interested in figuring out how to do a simple snow base. 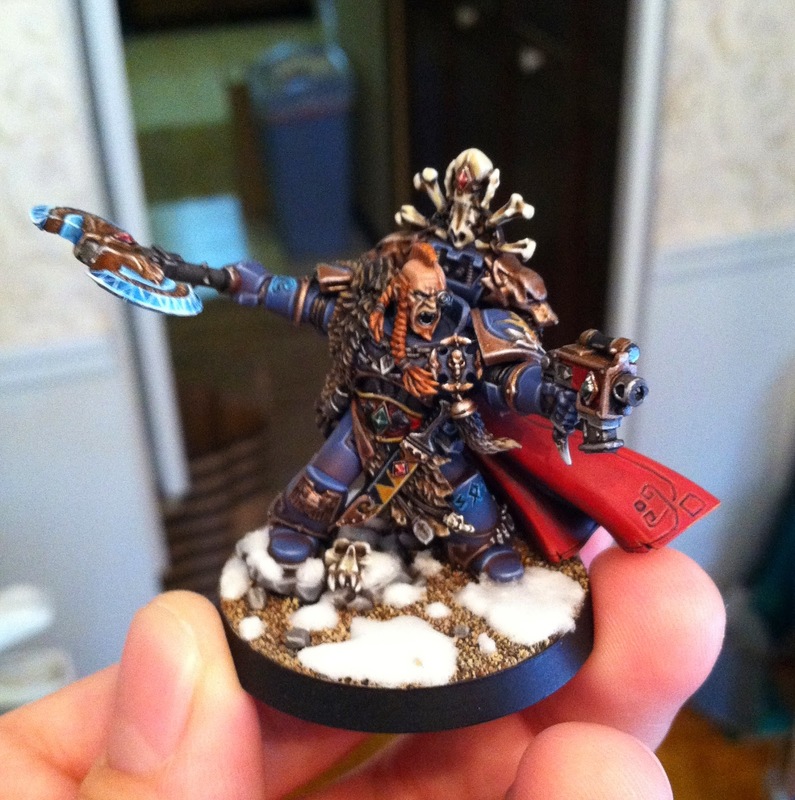 Some last minute tips, don't use GW snow flock. It behaves too much like grass, Woodland Scenics is better and cheaper. Lastly, be patient while the glue dries, using a fan may cause the glue to dry unevenly leading to bubbles or other irregularities.